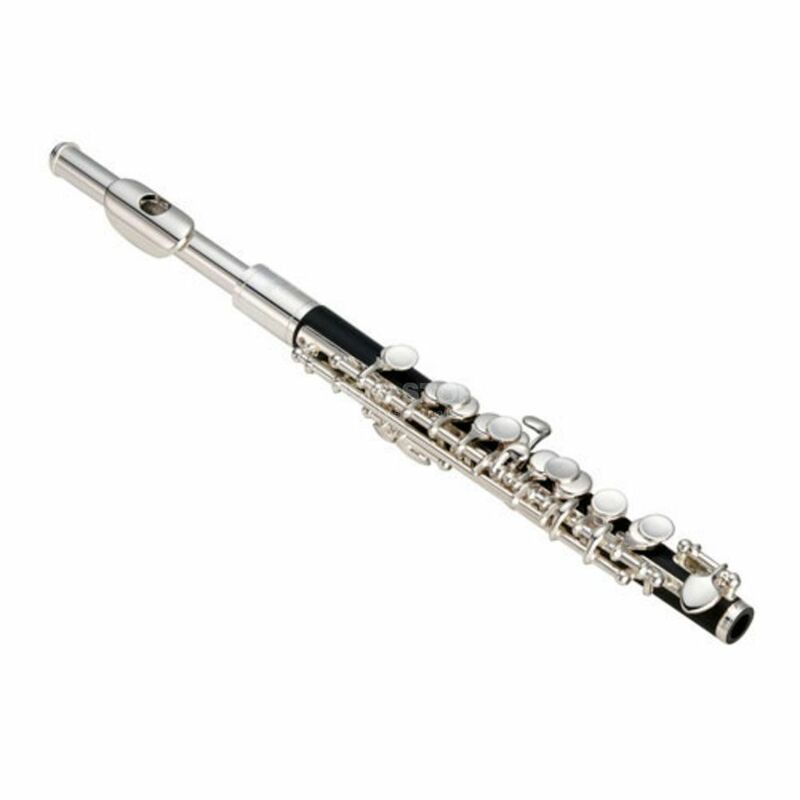 The Jupiter JP-303 ES Piccolo Flute Silver is a piccolo flute featuring a silver-plated head that offers greater brilliance and projection. This hybrid piccolo feels at home in both the concert and marching bands. An ABS resin body allows both the advantages of great sound and durability regardless of the performance venue, whilst a silver-plated nickel silver headjoint combines the strength of nickel silver with the rich tone quality of silver-plating. The conical bore is exceptionally responsive and offers excellent intonation across the entire instrument performance range.